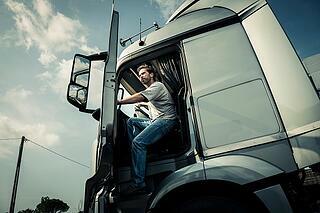 Will Stricter Trucking Rules Uncover Unsafe Trucking Companies? Large trucks have a considerable presence on roadways in New Jersey and other states across the nation. While these large vehicles provide an effective way to transport goods across a city, state or nation, semi-trucks and tractor-trailer trucks pose many risks on the roadways. Because of that, truck safety is a constant issue, and while federal trucking regulations are passed to address these concerns, this does not always reduce the number of truck accidents occurring across the nation. Truck driver fatigue is a major concern when it comes to truck safety, and federal trucking regulations have been passed in order to control the number of hours a driver can work in a certain period of time. Although truck drivers have been tracking their hours on paper since 1933, a new ruling from the Federal Motor Carrier Safety Administration will require all truck drivers to track their hours in a way that should promote trucking safety. Based on this ruling, the roughly three million truck and bus drivers in the country will now be required to electronically record their hours by December of 2017. Experts believe that this requirement will help eliminate over 1,800 truck-related accidents a year and save around 26 lives each year. Because some trucking companies are not compliant with watching their driver's hours, this new system will log to the very minute when the truck is moving and not moving. Providing more accurate records of truck drivers' driving hours will help hold trucking companies and truck drivers accountable if a driver goes over his or her limit. Moreover, when a truck accident occurs, these electronic records could help in the investigation process, helping to hold a liable party responsible for any injuries or damages caused in an accident.